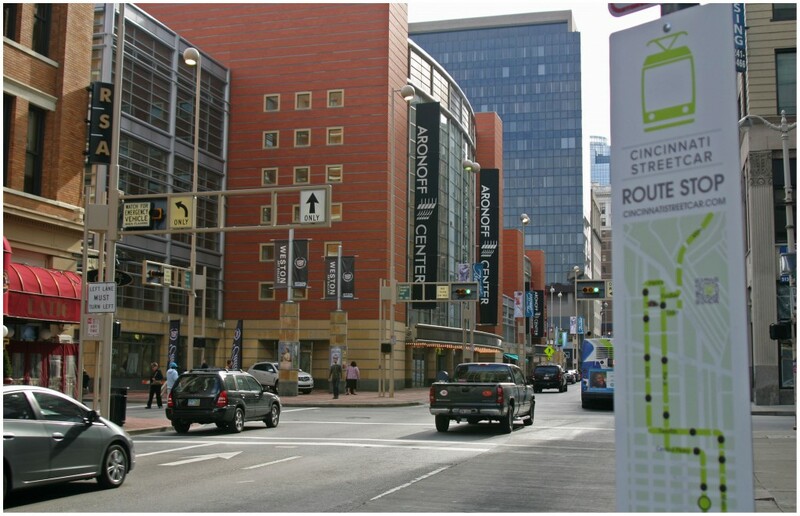 Yesterday was a tumultuous day for Cincinnati’s modern streetcar project. With virtually all other issues resolved, and construction forthcoming, Duke Energy made the announcement that they would walk away from negotiations with the City of Cincinnati about the relocation of their utilities. The impasse comes over cost. Based on other similar projects, the City believes the utilities only need to be relocated three feet, but Duke Energy has stated an eight-food clearance is needed. That five-foot difference roughly equates to an $11 million funding gap. The Duke Energy announcement seemed to take project and city officials by surprise. But the strong stance by Duke Energy does come at the same time as the City of Cincinnati is aggressively pursuing a new energy aggregation agreement that has the potential to cost Duke Energy significant business. Future Cincinnati Streetcar stop at Sixth and Walnut Street. Photograph by Randy A. Simes for UrbanCincy. Cincinnati Mayor Mark Mallory is currently in Washington D.C. at the Community Streetcar Coalition’s annual Streetcar Summit representing the City and discussing best practices with other cities that are building, or have built, streetcar systems. The mayor’s comments were then followed by an official press conference called by City Manager Milton Dohoney who elaborated on the mayor’s statements and went on to say that Duke Energy has yet to provide engineering documents to support their claims. 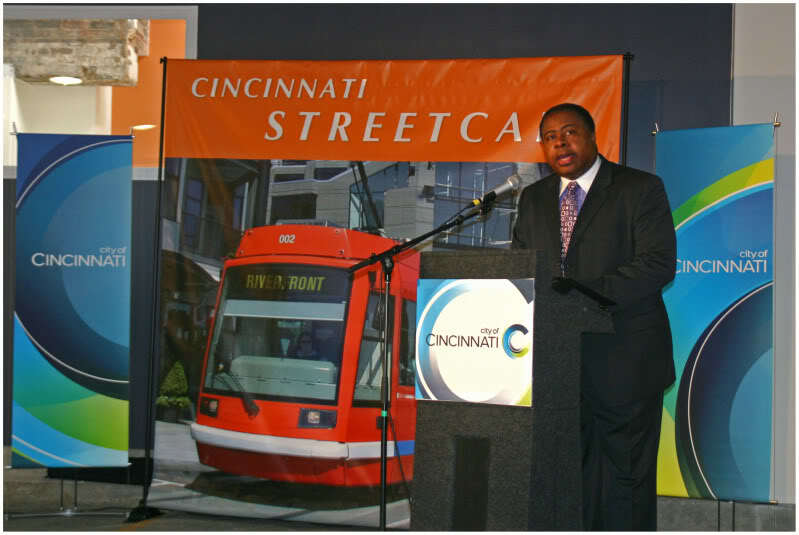 City Manager Dohoney began the press conference by stating that the Cincinnati Streetcar project will unequivocally be moving forward. He also stated that the City of Cincinnati should not be responsible for subsidizing the modernization of Duke Energy’s aging utility assets. Previous articleDowntown Cincinnati to get another new office tower, but is it an opportunity missed?